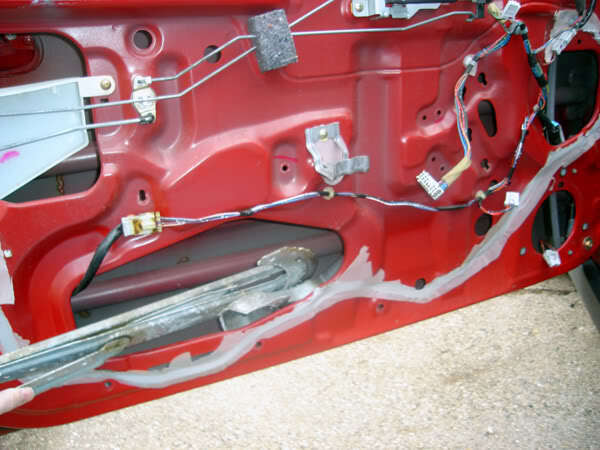 This DIY is going to show you how to access your Power Window Regulator, Motor, and other components. 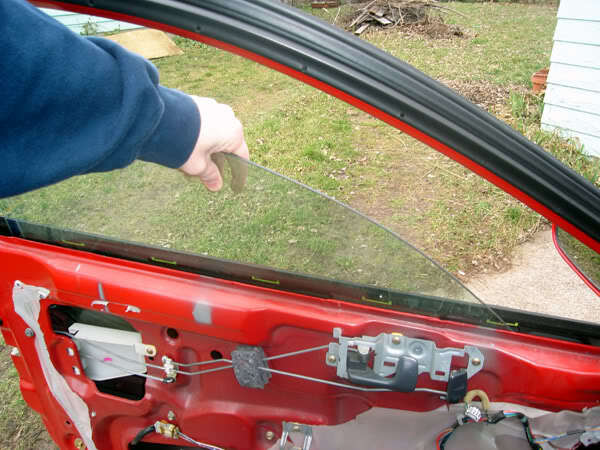 Honda's are well known for having window issues. Whether it be sliding off the track, not rolling up all the way to the seal, or just dying in general. Notice it goes up, then starts bouncing. 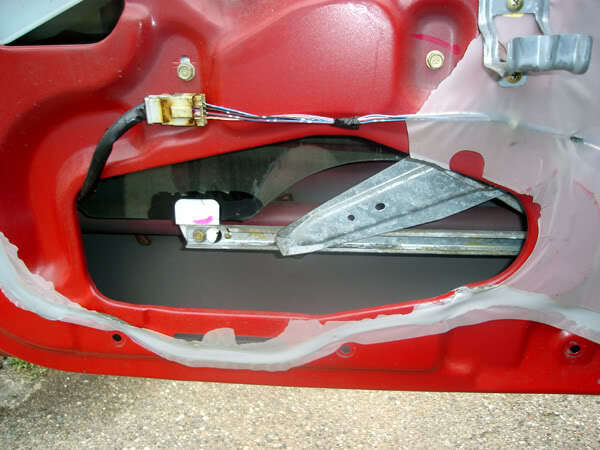 Basically, it wouldn't seal and I was getting a lot of wind noise on the highway, and obviously leakage when it rained. Even if this isn't your specific issue, the process below can definitely help you. 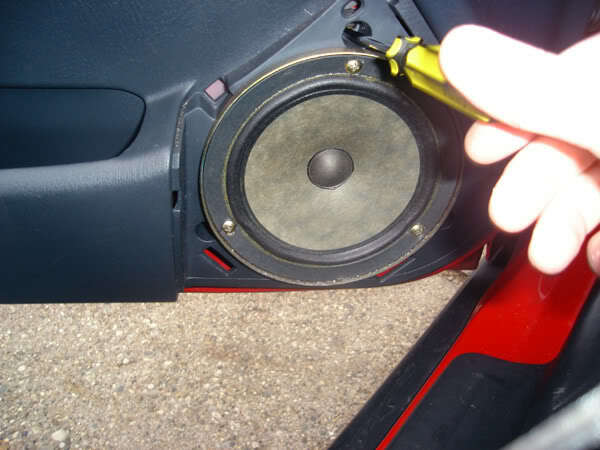 Moving on..
1 - Pull the speaker out, then remove the door panel. There are 5 screws, and a bunch of stupid clips. 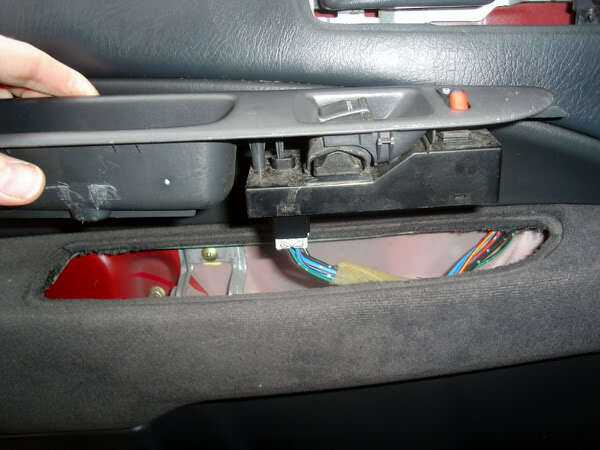 2 - Once you've pulled all the screws, the next step is to pull the handle and armrest housings out. 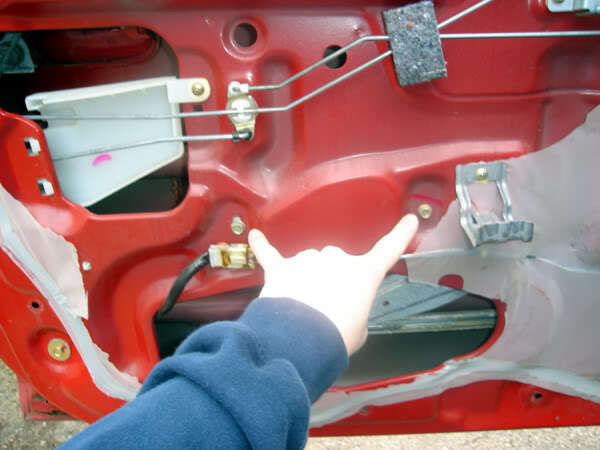 BEFORE you disconnect the window buttons, get the window into a position where you can easily access the bolts holding the window to the regulator, shown below..
Straight to the right of this big opening in the door, will be a circle opening, get the window to where the bolt behind that circle is easily accessible through the hole. 3 - Remove housings. 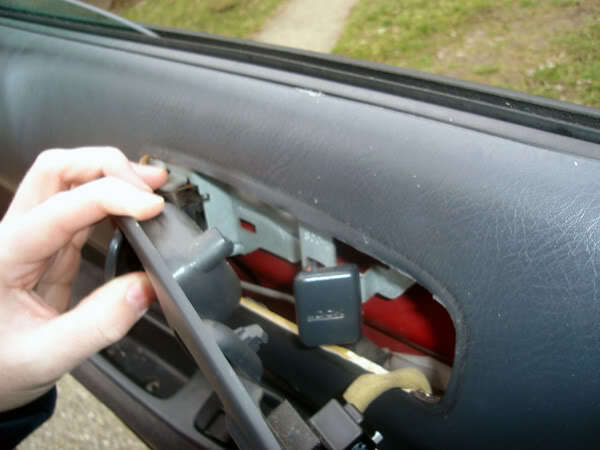 It's pretty basic, just pull them out carefully as to not damage the wires behind. 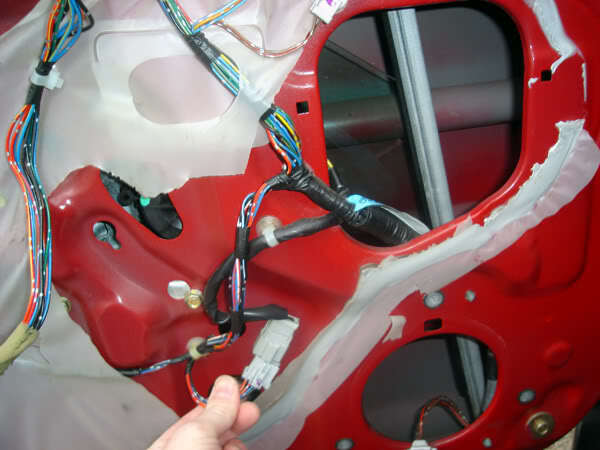 Unclip the connectors, and set the housings aside. 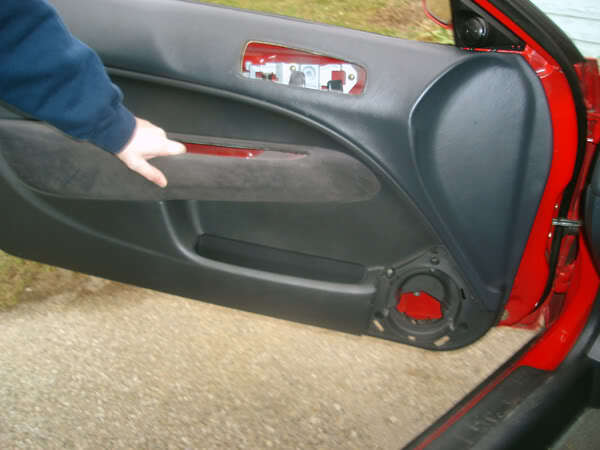 3 - Next, remove the door panel. You'll have to give the door a bit of a tug to pop it loose. Don't be surprised if you break a clip or two, it happens.. I've been told you can buy them at Lowes, but you don't need all of them, so no biggie. 5 - Remove the Glass. Some say you need two people for this, however I've done it three times now, by myself each time, and have not had a problem yet. Undo the two 12mm bolts holding the bottom of the glass do the regulator. Heres that little circle opening we talked about earlier. 7 - Now, onto removing the regulator.. 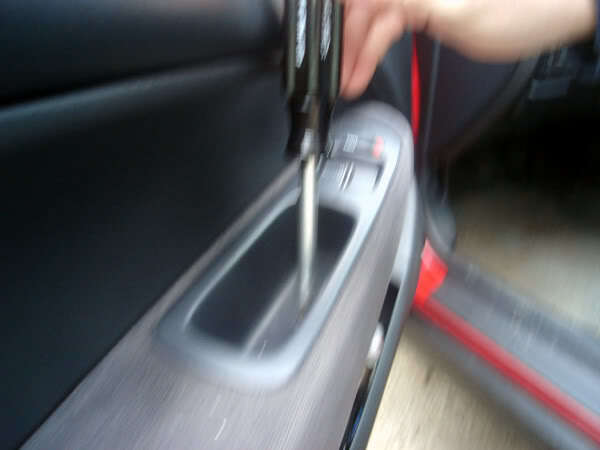 There are 6 bolts holding it in, all 12mm IIRC. 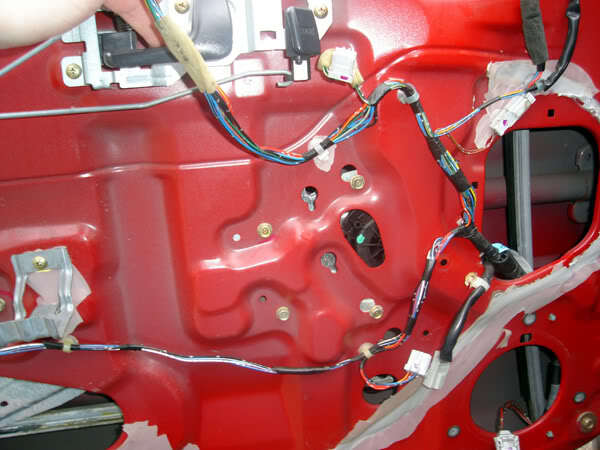 -Then remove the four bolts in the middle of this next picture. BE CAREFUL, once you take the last one out, the whole assembly is likely to fall. Not a huge deal, but if you're regulator is in fact okay, it might not be after the fall. 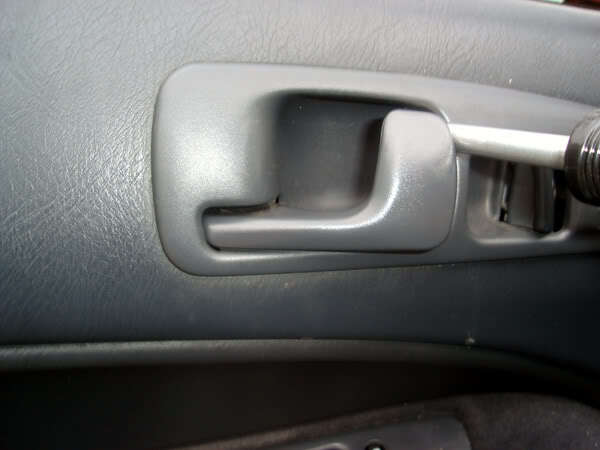 8 - You can fold the regulator up while its inside the door, and carefully slide it out the big opening. You'll have to maneuver around a bit to get the motor out. Okay, from here, the process is problem specific. As you can see below, I've highlighted in yellow what the problem was for me. Its a little pivot joint, that should allow the regulator to move in a scissors type fashion. Mine however, was allowing way too much side to side movement, and making the gear in the motor skip off the gear in the regulator. I thought it was the gear inside the motor, that's why you see a brand new one sitting there. Since it wasn't the problem, I returned it and picked up a new regulator from the stealership for about 70 bucks. 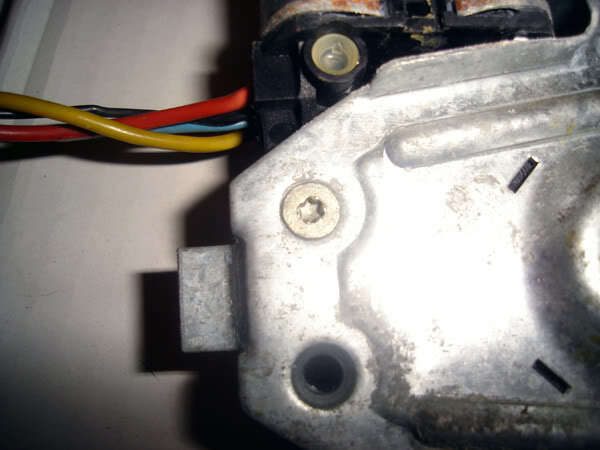 If your problem IS the motor, then replace it with a new or refurbished one. It's pretty straight forward, the only issue is that you'll need the proper tool for the motor to regulator bolts. 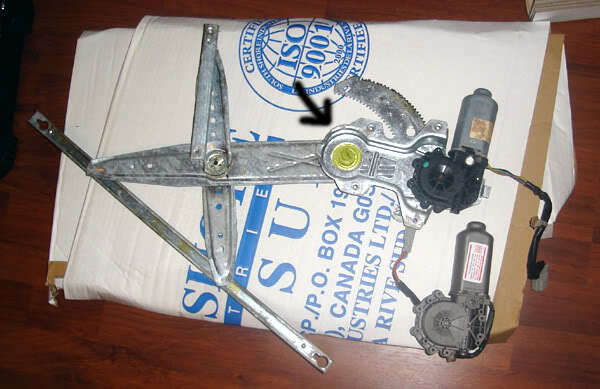 It looks like this..
9 - There should be three or four of them holding the regulator and motor together. Pull the motor off, attach the new motor (or in my case, put the old motor onto the new regulator), and work backwards for re-installation. 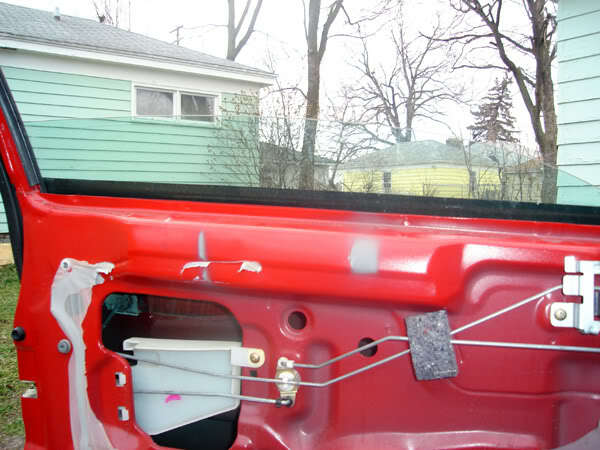 That's it, enjoy your fully functional window!